Fujifilm X-E2s: 16MP X-TransII sensor :: most relevant improvements Firmware based :: Coming January 15! According to our sources, the Fujfilm X-E2s will feature the same 16MP X-TransII sensor of its predecessor, the X-E2. 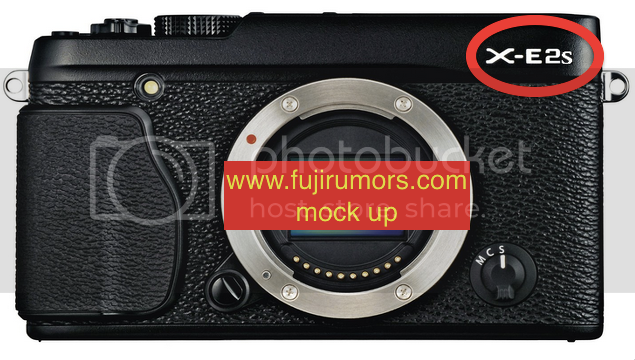 Always according to FujiRumors sources, the most relevant changes/improvements compared to the X-E2 will be firmware based. It will be announced along with the X-Pro2 and the XF100-400, on the 15th of January. I hear you are scared now about your long rumored X-E2 Firmware update. Don’t worry. I have multiple confirmation from sources and even Fujifilm itself said that it will come in… mid-January. Just read this post.